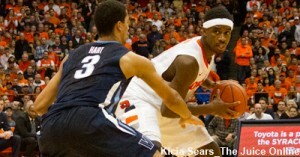 HomeBasketballIs Syracuse basketball in for a down year? Is Syracuse basketball in for a down year? With the headline, “Syracuse Basketball Coach Jim Boeheim Faces Biggest One-Year Rebuilding Project of His Career,” Chris Carlson of Syracuse.com did his job, generating interest in the basketball offseason of the Orange. The article was a sort of dog whistle, calling people to voice opinions, many of which agreed with the prime tenet of the article, which is that the team looks potentially bad (by Syracuse standards, at least). Carlson did, however, buoy the hopes of the fan base by pointing out that the Orange have been exceptionally resilient in recent years, responding with some of its strongest seasons under Boeheim when facing its greatest losses of contributors. Carlson cited the upcoming edition of the team has the smallest percentage of points returning under Boeheim’s guidance. Three of the preceding seven years saw the squad return with what was three of the five lowest marks in points returning to the program. In short, Syracuse has often lost large amounts of production in recent years and the scholarship players waiting in the wings have stepped up to answer the call. The good news is the Orange have an outstanding track record under Jim Boeheim of recruiting players who make positive contributions to the team’s success. In the six seasons prior to last season (which is excluded because the players in last season’s freshman class have simply not had enough time to carve out roles as contributors), the only scholarship players not to get into the rotation and stay there are Mookie Jones, Dashonte Riley, and Sean Williams. Jones had some off-court issues and the latter two were big men who transferred out of the program. 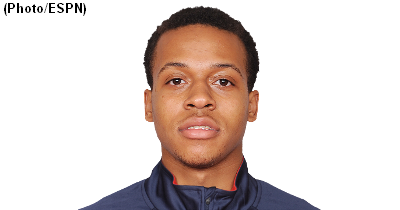 Even after he left the Orange, Riley was a solid contributor and was the Mid-American Conference’s Defensive Player of the Year as a senior at Eastern Michigan. Based on that, it is possible he would have been, at the very least, a rotational center had he stayed at SU, at least competing with Baye Moussa Keita for backup center minutes as a defensive specialist. Prior to that six-season span, recruiting results were a little choppier. And, frankly, so were some of the on-court results. As we go back even farther, the team logged pair of NIT appearances, an NCAA team that Gerry McNamara dragged to a tournament berth from the bubble, but no further, and an NCAA Tournament first-round flame-out against Vermont. One hallmark of those teams was that players that never quite reached the level of expectations saw major minutes. Terrence Roberts and Darryl Watkins each started over 65 games, but left Orange fans wanting more. Matt Gorman showed good shooting touch, but his lack of athleticism prevented him from panning out. Louie McCroskey transferred to Marist after three seasons of inconsistent play off the bench. 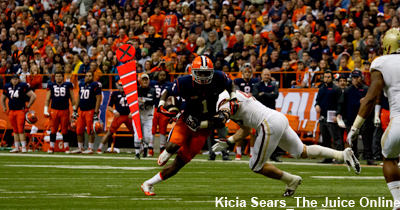 Dayshawn Wright gave even less, leaving SU after being declared academically ineligible after one season. The rebound in recruiting success in recent years suggests not that the Orange have questions about if unproven players will play well, but rather when will these unproven players play well. As such, this high level of success in recruiting suggests that the sophomore seasons for B.J. Johnson, Chinonso Obokoh, Ron Patterson, and Tyler Roberson should see them each step up into roles, or at least be given the opportunity to grab them. Incoming freshmen Chris McCullcoch and Kaleb Joseph will also be put in the mix. Returning rotation players Rakeem Christmas, DaJuan Coleman (if healthy), Trevor Cooney, and Michael Gbinije all contributed in various roles last season, but that should only give them a slight lead in the derby to get playing time next season. With Jim Boeheim showing a willingness to adjust his playing rotation to his roster’s quality, ranging from playing nine players regularly during the Final Four season of 2011-2012 to seven players in the 2009-2010 team that finished 30-5 (and sometimes six players), it is clear that the players who step up will get time. And they should be expected to play well.